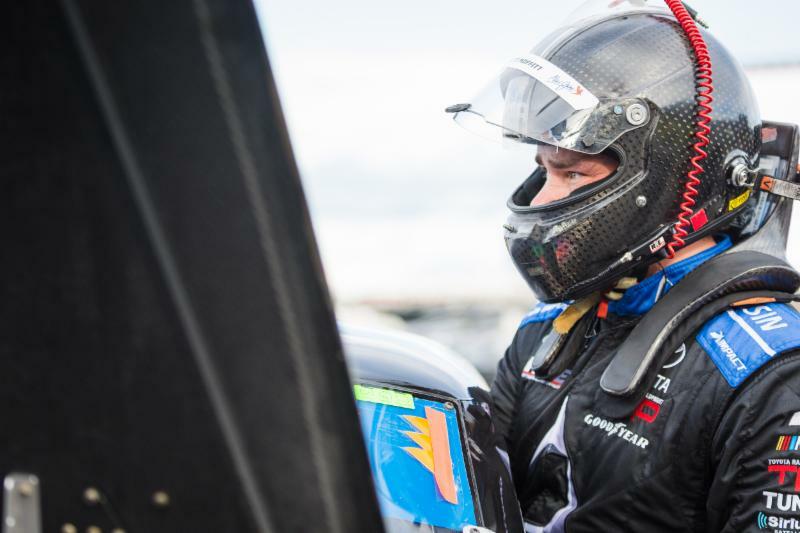 The Championship Four will be determined on Friday night at ISM Raceway, and Brett Moffitt is in prime position to be one of the championship finalists. The driver of the No. 16 Kobe Toyopet Toyota Tundra enters the Lucas Oil 150 with a 22-point buffer on the cut line to advance to the championship finale at Homestead-Miami Speedway. While at least one position in the championship finale will be determined by points, a fifth victory on Friday evening would secure an automatic berth to the playoff finale. A Good Omen … Moffitt’s No. 16 Toyota has a different look for the first race at the newly renovated ISM Raceway. The black, silver, and green colors of Kobe Toyopet adorn his Tundra for the penultimate race of the season, which could be a good omen for the Grimes, Iowa wheelman. In 2012, Moffitt drove a Kobe Toyopet Camry to the first victory in HRE’s history at Richmond Raceway in the K&N Pro Series East. Moffitt won in signature thrilling fashion with a photo finish and parked his Kobe Toyopet Toyota in victory lane, a feat he and team owner Shige Hattori would like to replicate on Friday. Building Momentum … Moffitt has been building momentum during the first five playoff races with three top-three finishes, including the last two races. The four-time race winner heads to the desert on the strength of a second-place finish at Martinsville Speedway two weeks ago and a third-place effort last weekend at Texas Motor Speedway. This is the third time this season that Moffitt has delivered back-to-back top-five results. Season to Date … The 2018 season has arguably been Moffitt’s most successful to date, and has been a breakout campaign for the No. 16 team. With one race remaining in the Round of Six, Moffitt sits third on the playoff grid, and the highest driver in points not yet locked into the finale. Moffitt and company have collected four victories (Atlanta Motor Speedway, Iowa Speedway, Chicagoland Speedway, and Michigan International Speedway) along with 11 top-five and 11 top-10 finishes in 21 events. Desert History … Race 21 of the 2018 season will mark Moffitt’s first NASCAR Camping World Truck Series (NCWTS) start at ISM Raceway, but he brings three races’ worth of experience to the desert mile. Moffitt made two starts in the Monster Energy NASCAR Cup Series in 2015 and one K&N Pro Series West start on the track’s previous configuration in 2010. Chassis Selection … For the second time in three races, chassis No. 009 is called to duty. Moffitt recently drove this Toyota Tundra to a runner-up finish at Martinsville Speedway two weeks ago. He captured his second victory of the season behind the wheel of this chassis at his home track, Iowa Speedway, earlier this season. This week’s contest at ISM Raceway will mark the fifth start for chassis No. 009. Tune In … FOX Sports will have complete coverage of NCWTS on-track action, including on-board cameras with Moffitt’s Kobe Toyopet Tundra. Both practice sessions on Friday will be carried live on FOX Sports 2 at 10:30 a.m. ET and 12:05 p.m. ET, respectively. FOX Sports 1 takes over at 5:30 p.m. ET for qualifying followed by the green flag at 8:30 p.m. ET. Stay updated on the No. 16 HRE team by following @Hattori_Racing on Twitter and Hattori Racing Enterprises on Facebook.